Show off your chess skills at the first Mile High Chess (Not Checkers) Championship at Dean Ween’s Honey Pot Lounge. Presented by 0420Inc, this cannabis consumption event will have a DJ bumpin Wu-Tang, kung fu flicks, and dabs rolling while our community dukes it out for top chess champ. 6 pm -10 pm. RSVP early for 1/2 off the door cover. 0420 Inc. will also host a comedy night @ Dean Ween’s on April 22nd! 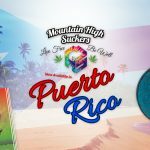 Also Coming in April – Mountain High Suckers in Puerto Rico! 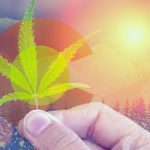 Puerto Rico legalized medical cannabis in July, 2017. For the last year, Mountain High Suckers have been working with partners in Puerto Rico to release our products to medical dispensaries and we’re proud to announce that our first products will begin production shortly and will be ready to go around 4/20 (depending on availability / where you shop). We’re extremely proud to bring our favorite suckers and lozenges products to the Puerto Rico market! We’ll follow up with more details on social media throughout the month.